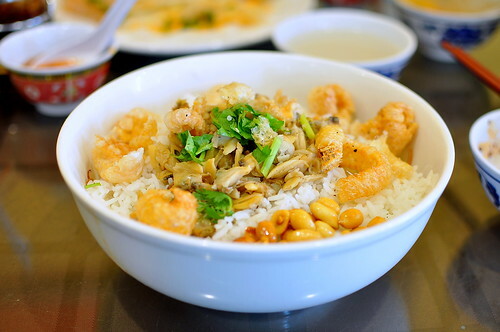 Even with an endless parade of new restaurant openings in Los Angeles, my current obsession is an unassuming eight-year-old Vietnamese spot in El Monte. 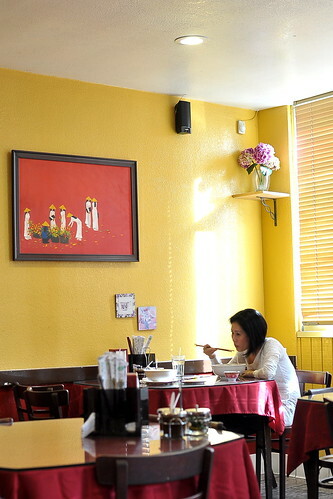 My friend Thien introduced me to Kim Hoa Hue Restaurant a few weeks ago, and I’ve already been back three times since. This place is really something dac biet. 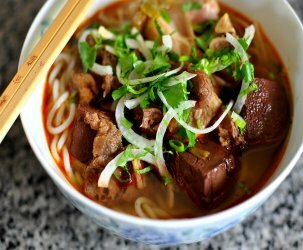 Whereas most Vietnamese restaurants in town serve a menu of the country’s greatest hits, like pho, bun, and the like, Kim Hoa Hue specializes in Central Vietnamese fare, specifically the cuisine from Hue. As Vietnam’s former imperial capital, Hue is renowned for its sophisticated cuisine, developed by the cooks of the royal court. On each of my visits here, my dining companions and I feasted like kings. Never missing from our spread was the Hue Combo ($6.25), a sample platter of delicate delights: banh beo (steamed rice cakes topped with shrimp and cracklins), banh nam (rice cakes embedded with shrimp and steamed in banana leaves), banh bot loc (shrimp and pork dumplings), cha (steamed pork forcemeat), and banh uot tom chay (rice sheets stuffed with minced shrimp). While my mother and grandmother were particularly fond of the banh beo during our lunch, it’s impossible for me to choose a favorite—winners all around, I say. 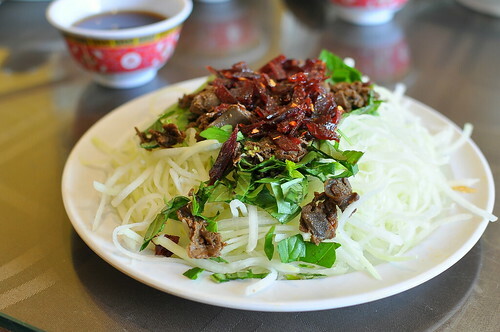 Kim Hoa Hue also makes a killer goi du du kho bo gan ($5.50), green papaya salad topped with Thai basil, beef jerky, and liver. We drizzled a thick, almost syrupy soy-based sauce on top before digging in. 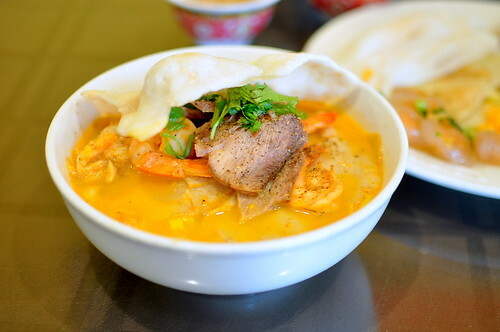 This dish was fresh, light, and extraordinarily flavorful—the hallmarks of Vietnamese cuisine. 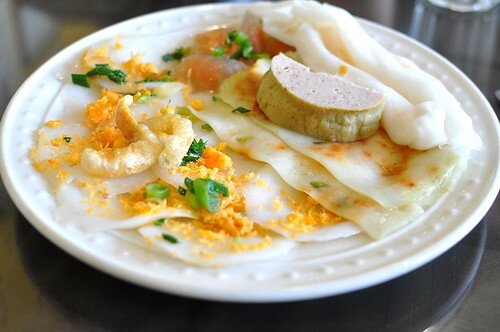 If you’re a fan of chewy, tapioca-laced textures, than the banh ram it ($5) will treat you right. 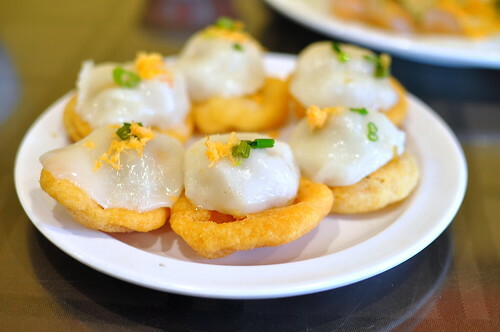 These double-decker delicacies were comprised of shrimp-stuffed glutinous rice dumplings nestled atop fried glutinous rice cake rafts. This dish isn’t for everyone, but man, it certainly is for me. The Astronomer and I haven’t encountered banh uot thit nuong ($5) since our expat days in Vietnam, so it was quite the sweet reunion when these arrived at the table. The grilled pork stuffing was perfectly seasoned, while the steamed rice sheets were cool and delicious. Served on the side was a spicy peanut sauce. Another fantastic “small plate” was the goi mit tron xuc banh trang ($5.50), young jackfruit salad eaten with crispy rice crackers. Whereas ripe jackfruit is sweet as can be, its unripened counterpart has a more neutral flavor and meaty texture that’s fitting of a savory salad. 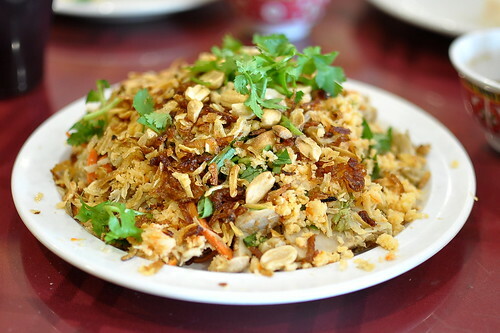 Perhaps the most pungent main on the menu is the bun mit mam nem ($6.50), rice vermicelli noodles topped with pork forcemeat, minced shrimp, peanuts, herbs, and young jackfruit. A dousing of mam nem, a fermented anchovy sauce sweetened with pineapples, brings on the funk like you wouldn’t believe. 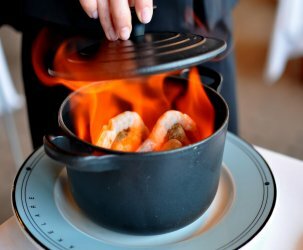 This dish is not for the faint of heart. The Astronomer and I are both smitten with the com hen here ($6.50), a spectacular bowl of steamed rice, baby clams, sesame seeds, fresh herbs, elephant ears, peanuts, pork rinds, banana blossoms, and Granny Smith apples. 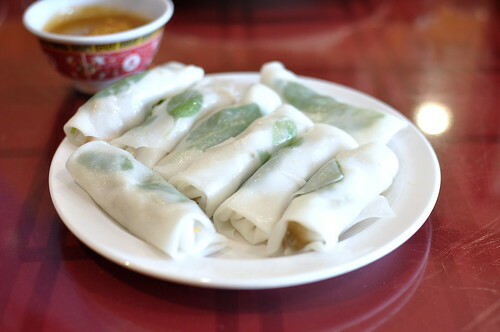 Vietnamese cooks are strict in their adherence to traditional recipes, so the addition of julienned green apples was a pleasant and welcome surprise. 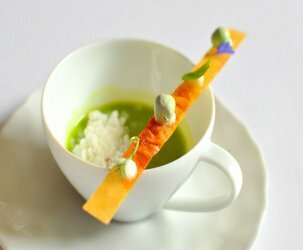 A light clam broth tied all of the elements together. My friend Thien is a big fan of Kim Hoa’s mi quang ($6.50) and bun bo Hue (not pictured). Though I’ve yet to sample either, mostly due to the fact that I can’t resist ordering the com hen and bun mit mam nem on every visit, I’m sure I’ll be noodle-souping in the near future. This is my current restaurant obsession after all. 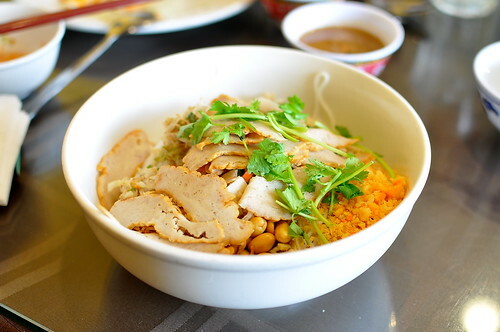 Whether you’re new to Vietnamese food or have been around the fish sauce block, Kim Hoa Hue has something for everyone. I’ll see you there! oh, it all looks so GOOD! Drooling in anticipation. My expat bf returns from 8 months in Central Vietnam next week (Hoi An, foodie heaven). He’s first going to want all the Western foods he can’t get there–cheese, wine, nectarines, broccoli, etc. 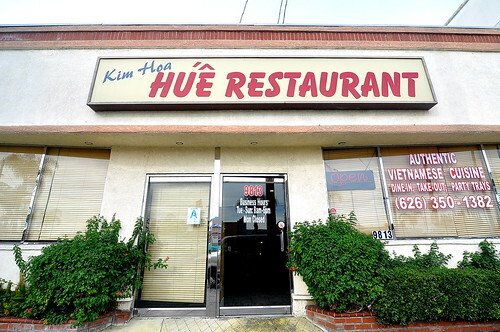 etc.–but the minute he craves his favorite Vietnamese dishes again, we’re heading straight to Kim Hoa Hue! Thank you so much for this great blog and to KCRW and Madeline Brand for exposing me to it.